After a not-so-brief hiatus, the TI podcast is back with Episode 82: Mu Artist Showcase! 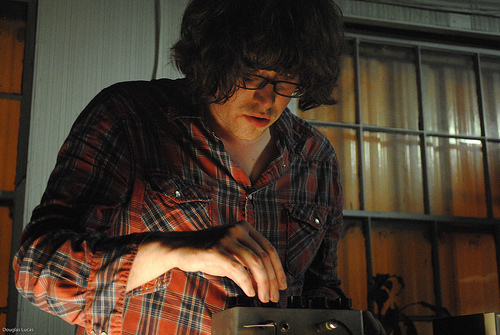 MU is the experimental guitar-based project of Louisville, Kentucky resident DOUGLAS LUCAS. Douglas performed a very visceral set hunched over a modified guitar at Noa Noa on April 13th, 2012. On the podcast, I talk with Douglas about making music, growing up in a small Kentucky town, and his annual event, the Louisville Experimental Festival, kicking off this year on June 27th. 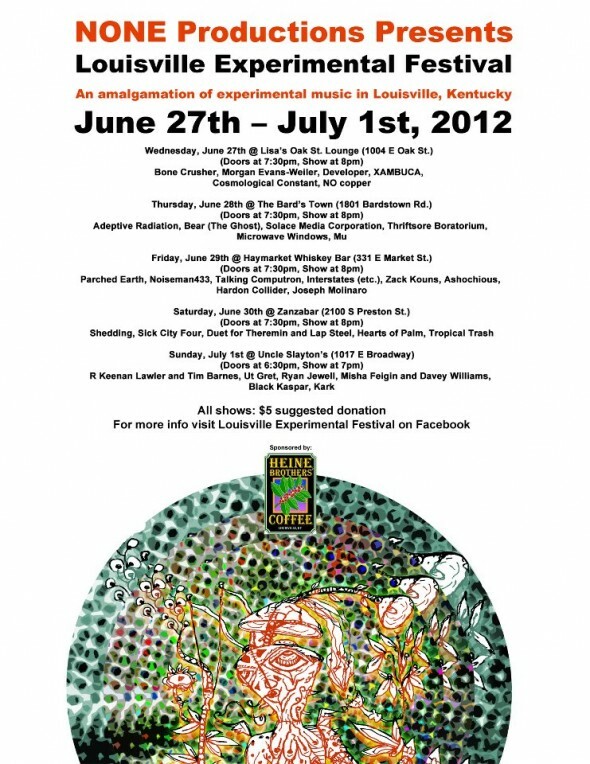 The fest is, as the Facebook page states, “an amalgamation of experimental music,” featuring local and national acts. It’s a major event and close enough for Nashvillians to check out. See below for a full lineup. The podcast also features Mu’s live performance at Noa Noa, as well as the performance of Louisville tape-loop drone kings ASHOCHIOUS. See below for a video clip. The April 13th show also featured MICROWAVE WINDOWS and HARDON COLLIDER, who I interviewed for an upcoming podcast. All four bands participated in an incredible live improv to be released soon.